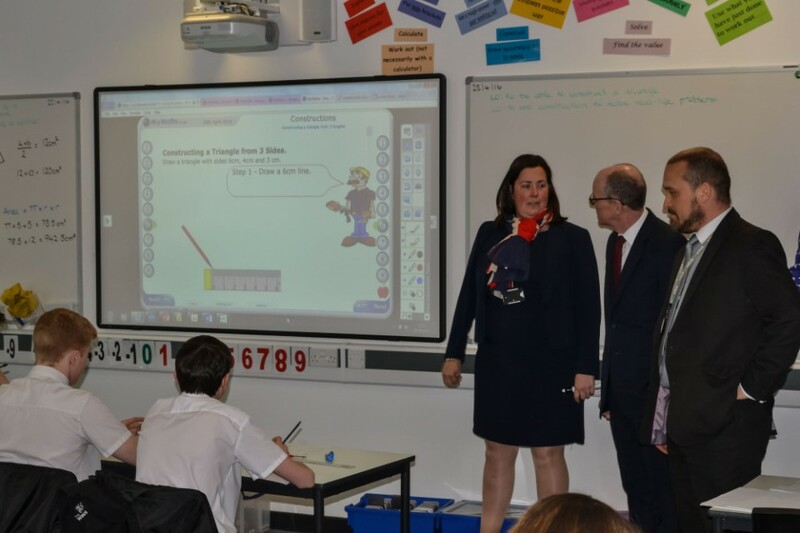 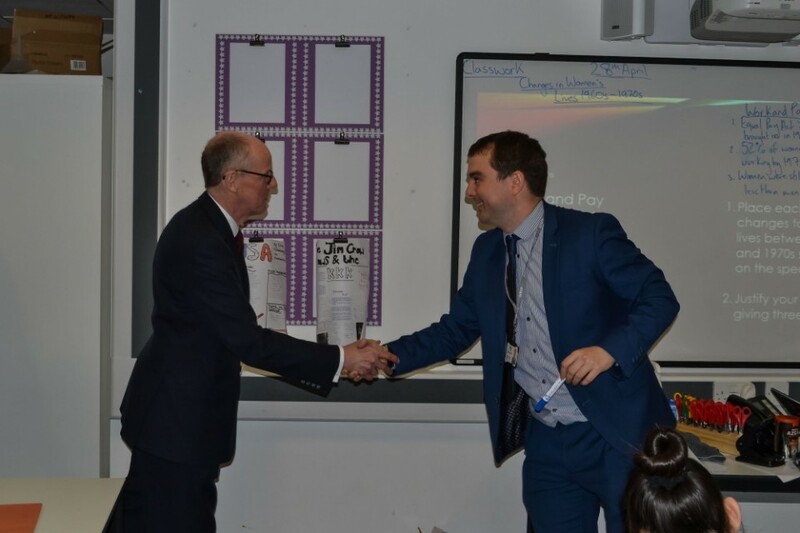 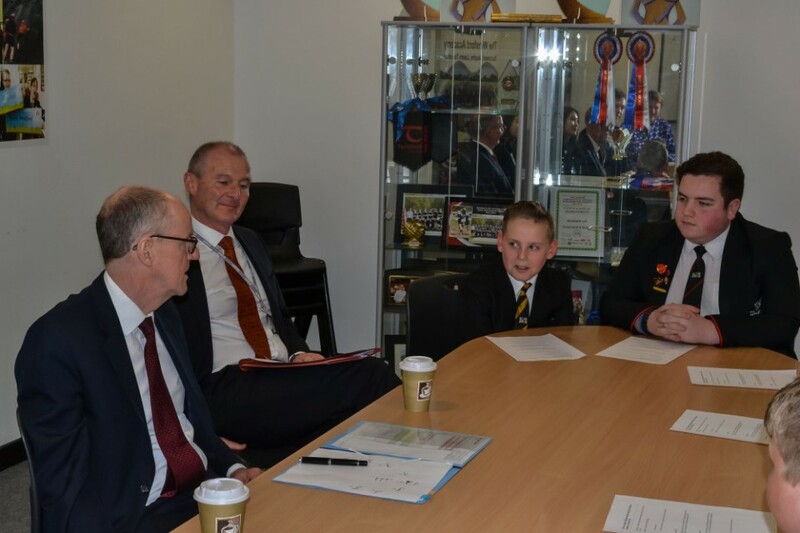 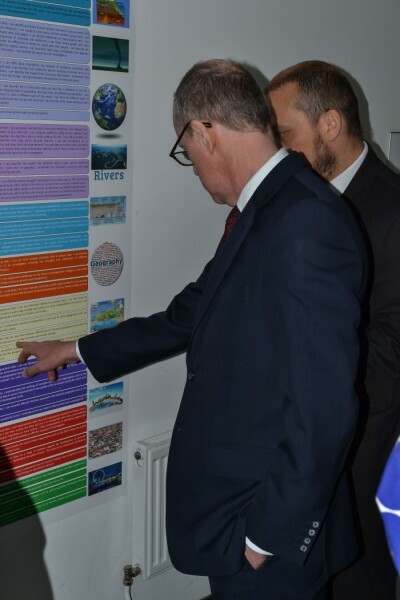 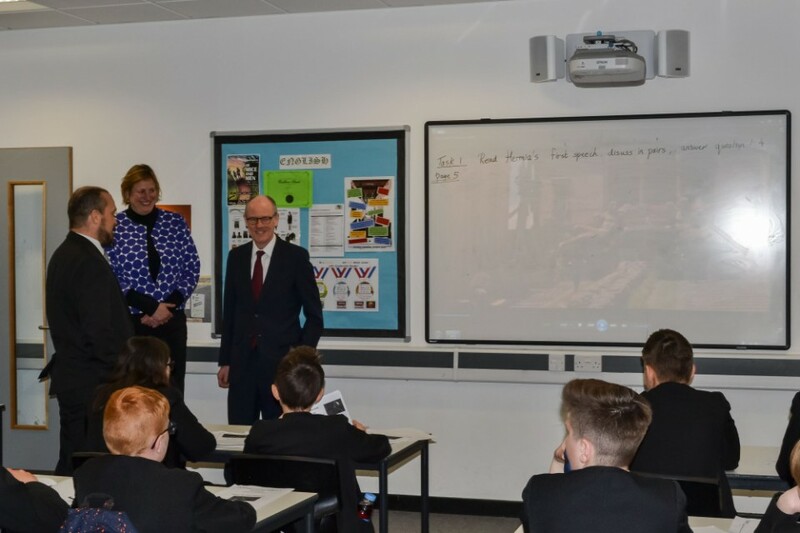 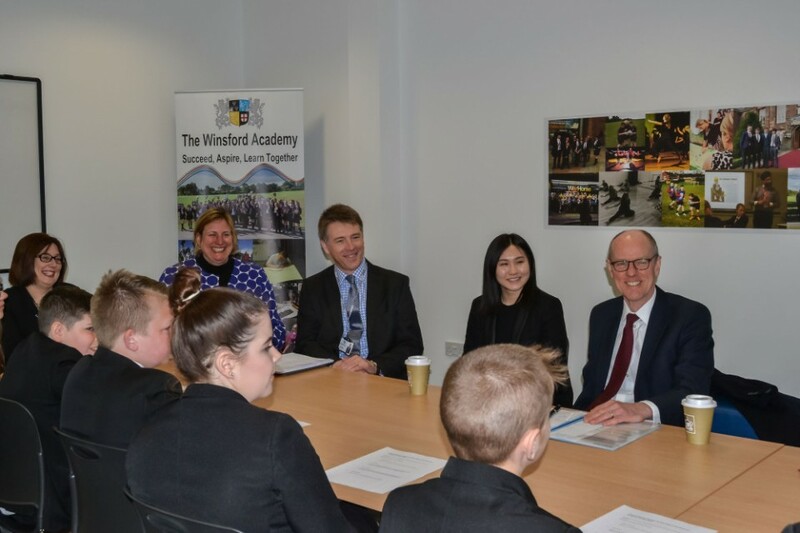 Schools’ Minister Nick Gibb was impressed by the standard of education on view at The Winsford Academy during his visit this week. 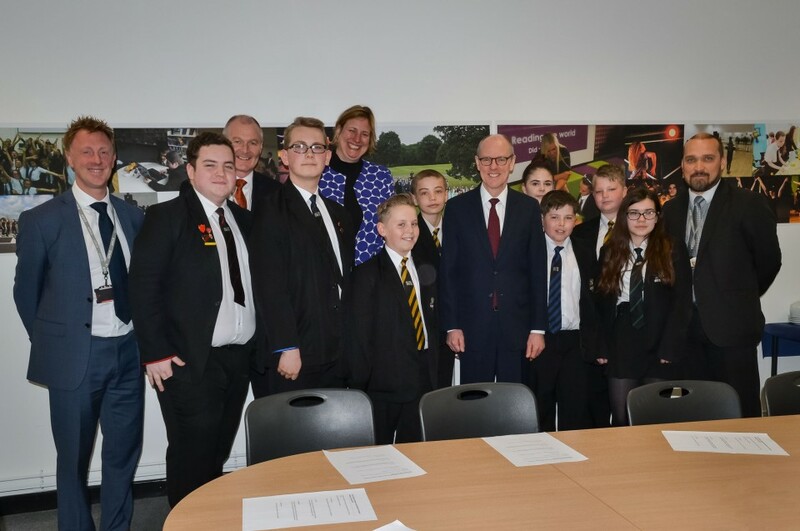 The Minister was given a tour of the Academy’s impressive building and met with representatives of the school council, senior staff and governors. 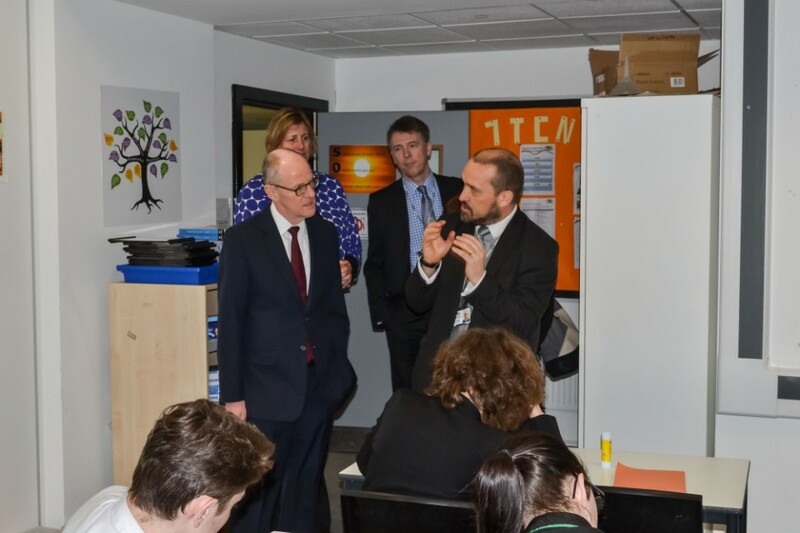 He was interested to hear how the Academy’s partnership with The Fallibroome Trust was raising standards and was keen to promote the Government’s policy of Academisation for all schools. 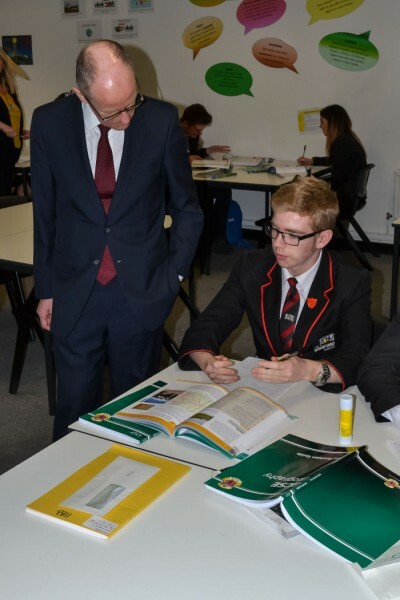 Chair of Governors Ms Joanne Watkins said, ‘We have disputed the Government’s presentation of our excellent English results but were delighted by Mr Gibb’s positive response to our invitation to witness first-hand the quality of education on offer at the Academy’. 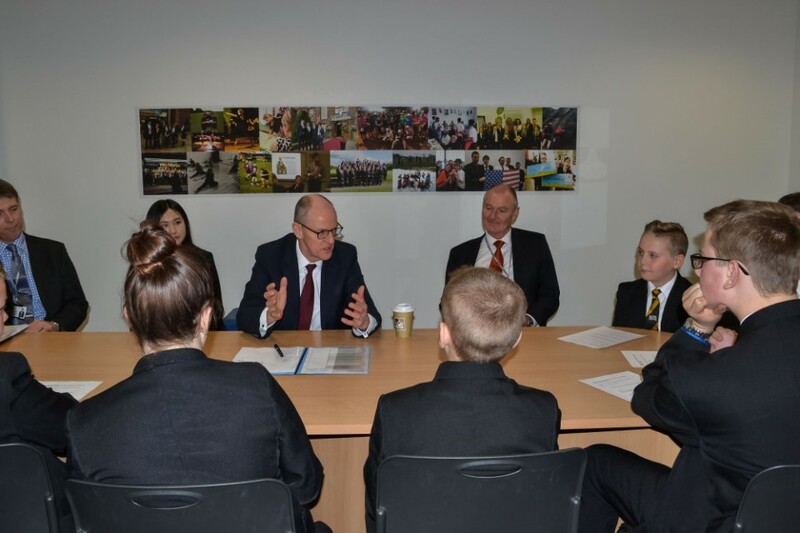 Students challenged Mr Gibb on his expectation that all students should study the EBacc suite of subjects and pressed him for his views on the EU referendum.